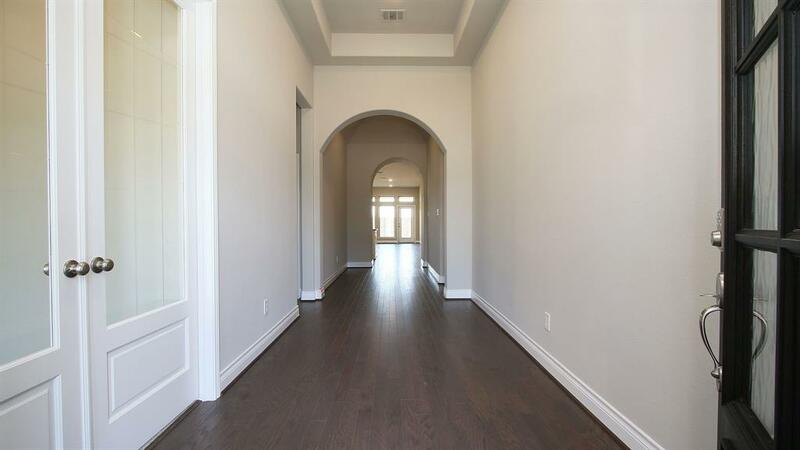 PERRY HOMES NEW CONSTRUCTION-Entry and extended entry with 12-foot ceilings. Library with French doors off the entry. Open kitchen with hardwood floor features an island with built-in seating space. 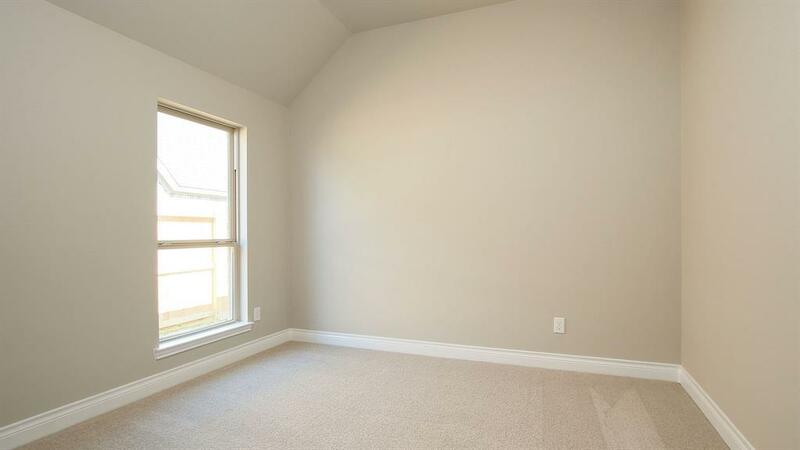 Open family room with hardwood floor and features a wall of windows. 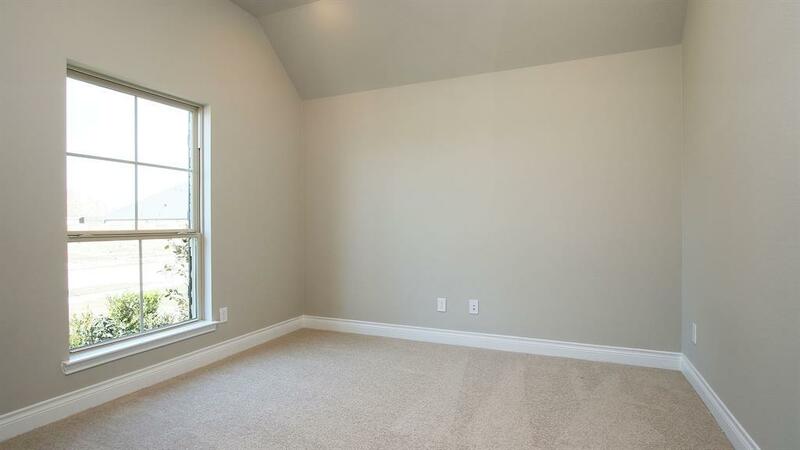 Large private master suite. 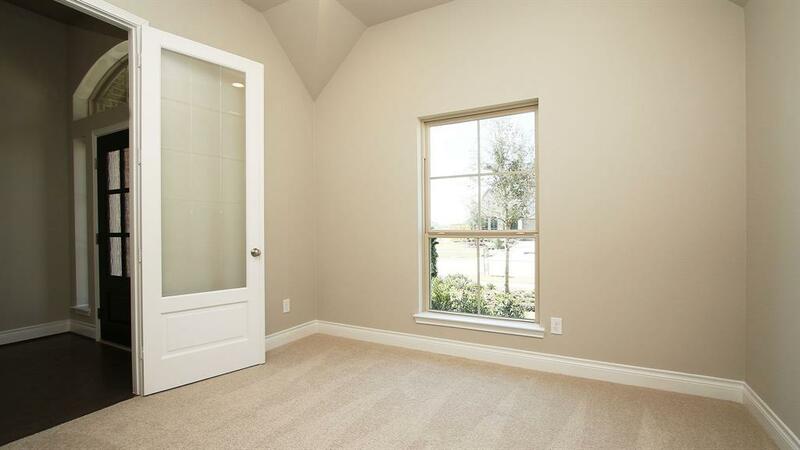 Double doors lead to master bath with two large walk-in closets, dual vanities, garden tub, and a separate enclosed shower. Extended covered backyard patio. Mud room off of two-car garage.